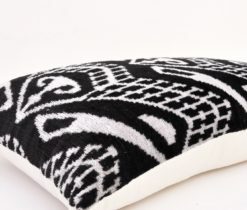 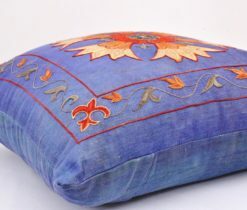 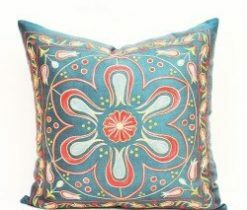 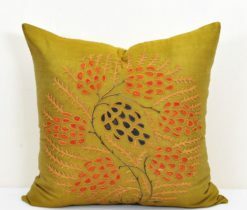 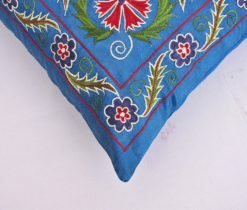 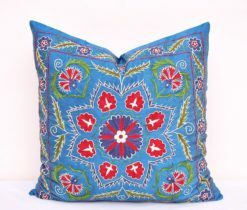 If you are decorating a pation for summer, looking for accents, this pillow cushion allows you to curl up the room decor! 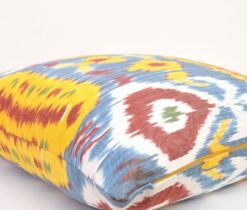 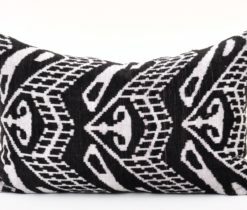 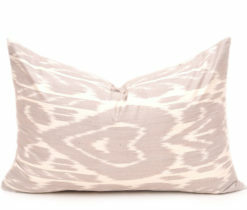 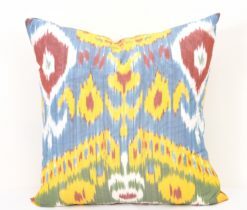 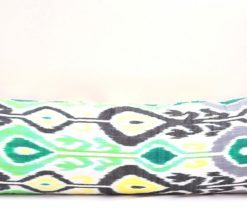 Add a quick splash of color and pattern to neutral chairs with this unique and ever so pretty, accent ikat pillow cover. 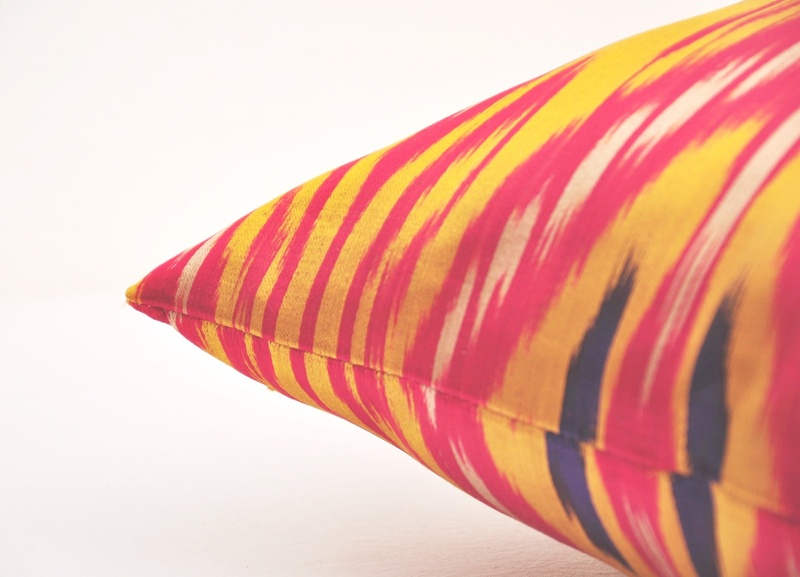 No real signs of wear… colors are really bold and bright. 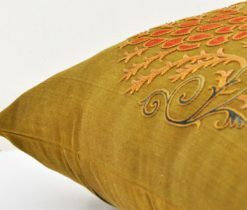 Add these luxurious silk pillows to your sofa for a sophisticated contemporary styling. 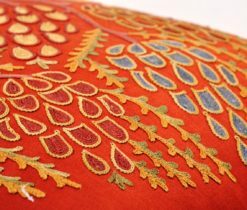 Spoil yourself with exquisite finishing detail and sumptuous texture. 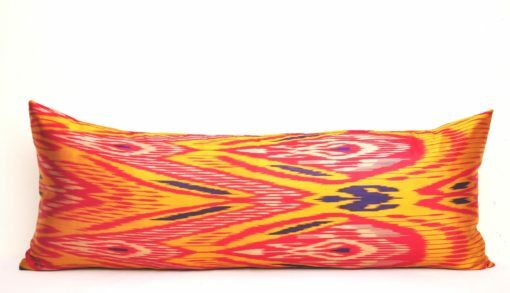 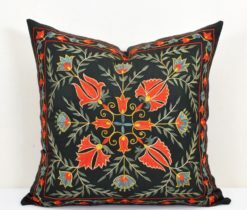 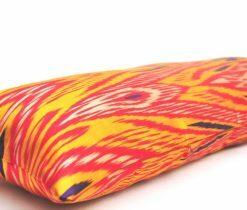 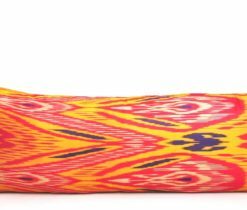 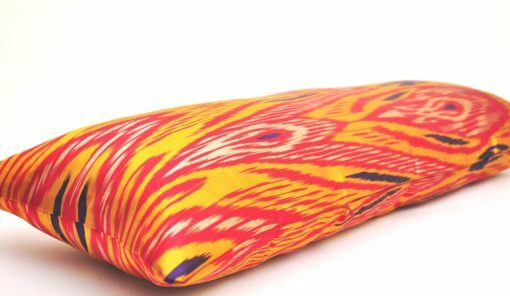 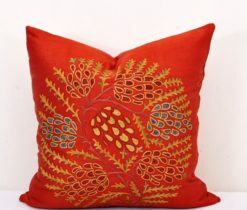 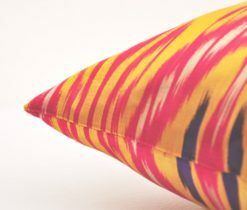 The example of handwoven Bokharan ikat texture used for orange silk bolster ikat pillow case may illustrate the complexities of labor in the silk weaving trade. 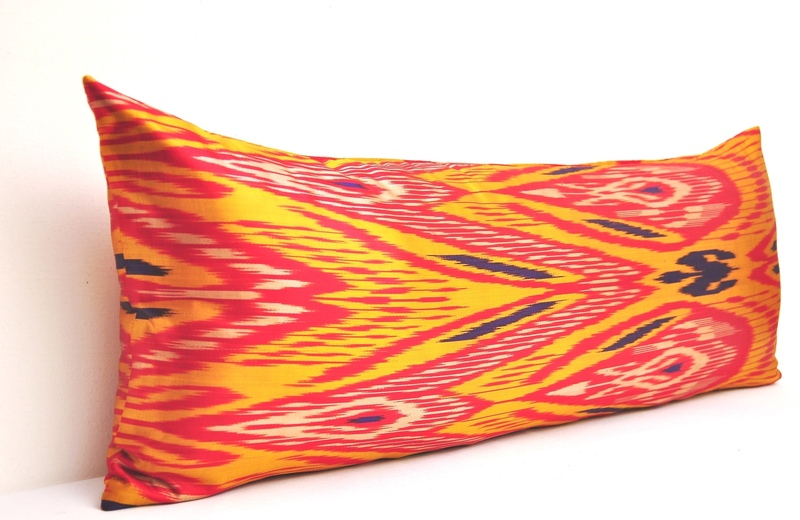 Bokhara is one of several in which weaving is a common occupation. 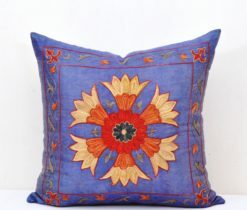 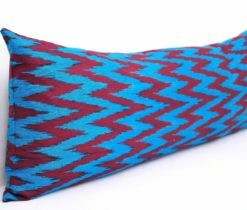 Most people specialized in weaving silk fabrics such as ikat. 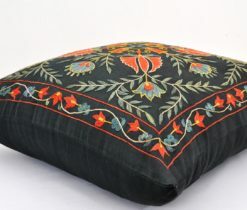 Non-migrant, “Old Bokharans” who claim Uzbek descent are living in both Uzbek and Irani dominated neighborhoods and they weave both pure silk and half-silk ikat fabrics. 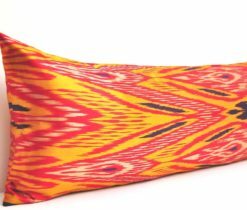 There is also an abr-bandi or ikat-binding workshop for the production of ikat warps in a Tadjik neighborhood. 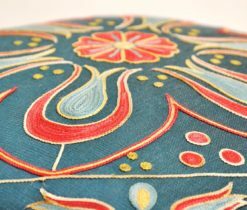 In a very mixed neighborhood of mostly Tadjiks and Farsi that include many all-silk ikat weavers, there is a dyeing establishment that employed both Jewish and non-Jewish dyers.